In 2002, Vick became a star and MVP candidate in his first season as a full-time starter at the age of 22. He was named to his first Pro Bowl after starting all 15 games played, only missing a game to the New York Giants on October 13 due to a sprained shoulder. He completed 231 of 421 passes for 2,936 yards (both career-highs) and 16 touchdowns, while he also tallied 113 carries for 777 yards and eight rushing touchdowns. In this season, Vick established numerous single-game career-highs, including passes completed with 24 and pass attempts with 46 at Pittsburgh on November 10, as well as passing yards with 337 vs. Detroit on December 22. He also completed a career-long 74 yards for a touchdown to WR Trevor Gaylor vs. New Orleans on November 17. Vick registered an NFL record for most rushing yards by a quarterback in a single a game with 173 yards at Minnesota on December 1. 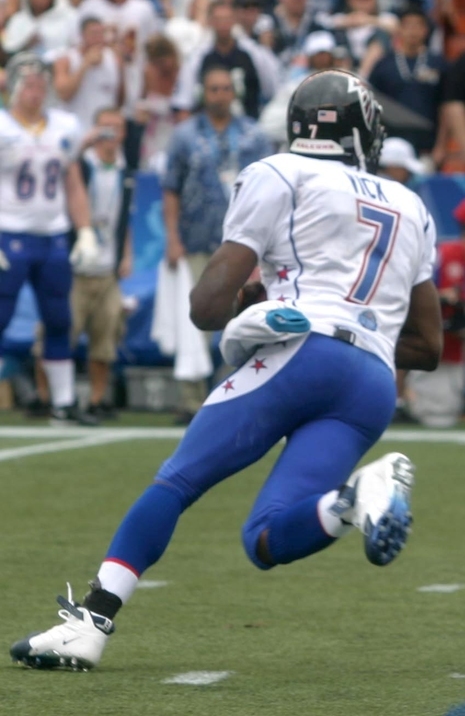 Vick also tied for third in team history for the lowest interception percentage in a season at 1.90 and continued a streak of consecutive passes without an interception that began at St. Louis on January 6, 2002 in the season-finale of the 2001 season and extended to the first quarter vs. Baltimore on November 3, 2002. His streak covered 25 straight quarters and 177 passes without an interception.